Female Faces — Anna Akbari, Ph.D. 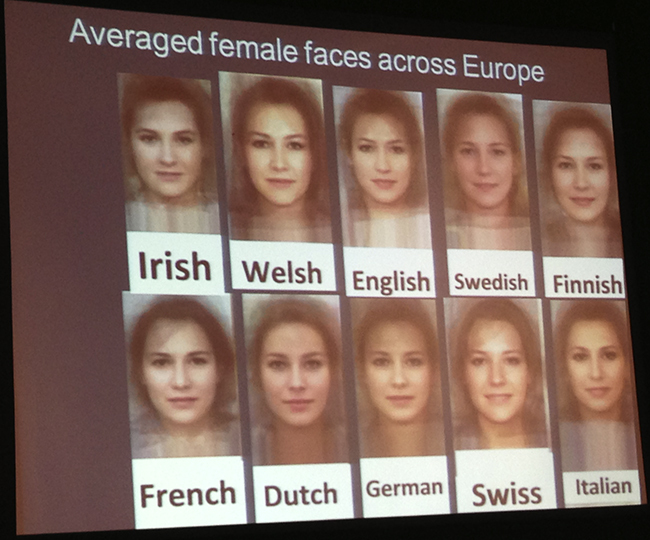 The Conversation: A slide shown at the Ancestral Health Symposium contained images of averaged women from different nations. If only a few thousand years of genetic divergence created such astoundingly different varieties of faces, how will we look in a million years? Or, in today’s international society, do you think we will eventually become one, homologous race?